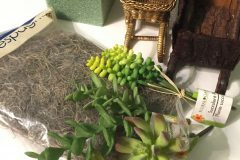 I bet when you see a bag of plastic bugs at the dollar store, “pretty” isn’t one of the first words to come to mind. 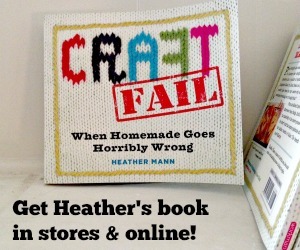 That is, unless you are Heather! 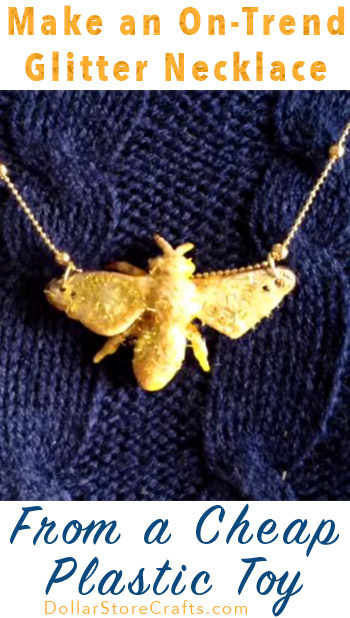 She elevated a plastic bee with a sparkly makeover, turning it into a trendy necklace. 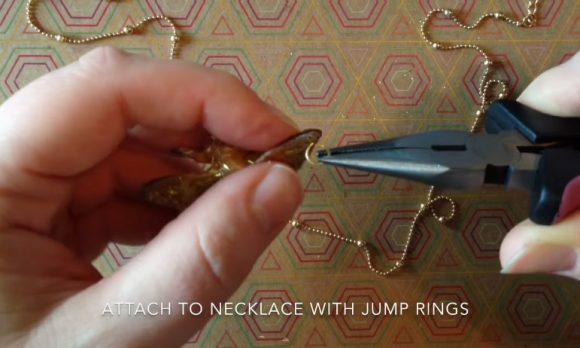 After you watch this video, you will want to figure out what other ways you can turn blingy bugs into fabulous jewelry! 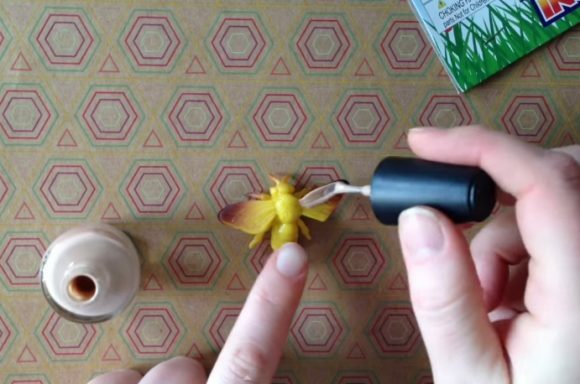 Paint the bee with nail polish. 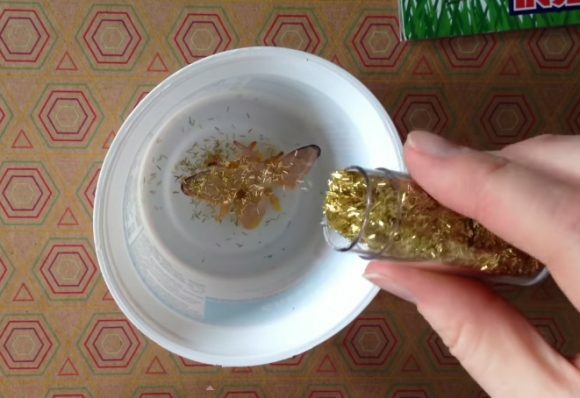 Sprinkle glitter over the nail polish. 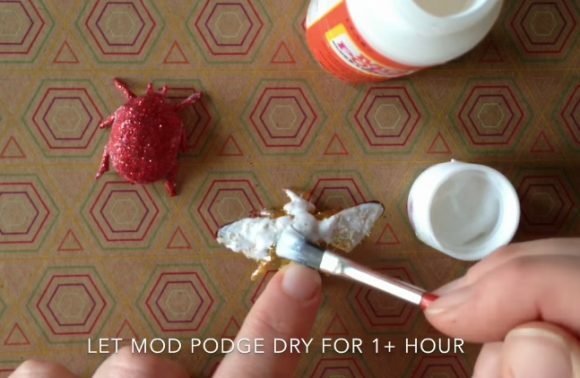 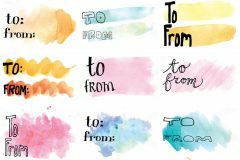 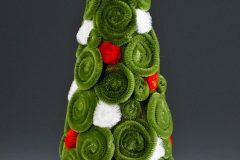 Paint over the glitter with Mod Podge and let dry. 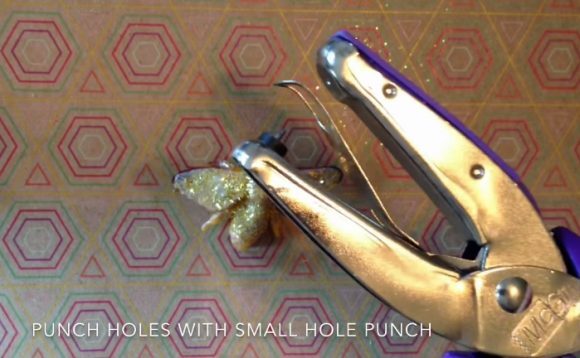 Punch holes in the wings with a small hole punch. 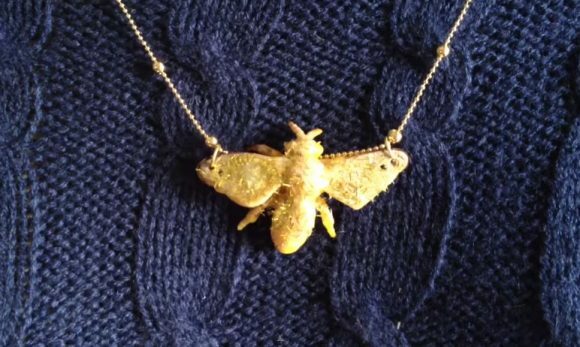 Attach the bee to a chain using jump rings.